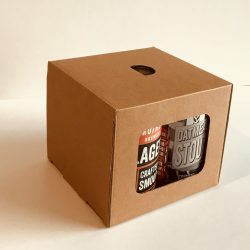 We make a unique range of gift packaging suitable for Beer & Cider Bottles and Cans. They hold either 440ml or 500ml beer or cider cans. 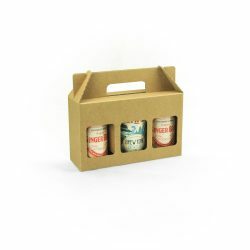 This gift pack for beer or cider cans has a tall window to display the cans unique logo & design. 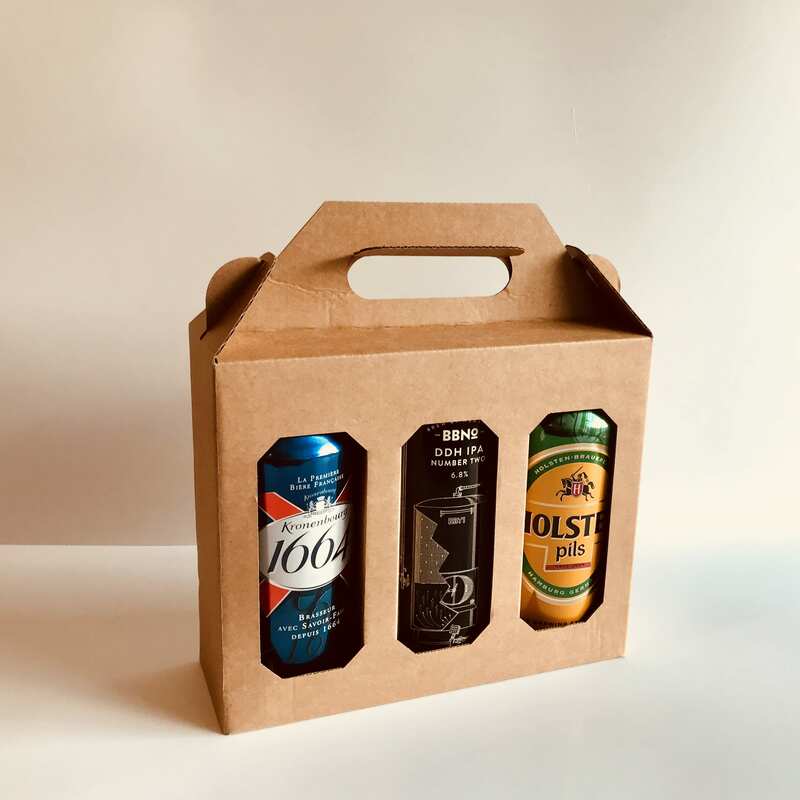 Our beer and cider can gift packs come in a quality plain craft cardboard which can be customised by applying your own label/logo. MOQ = 50. Alternatively we can provide a bespoke print service. Contact us for details or a discussion. 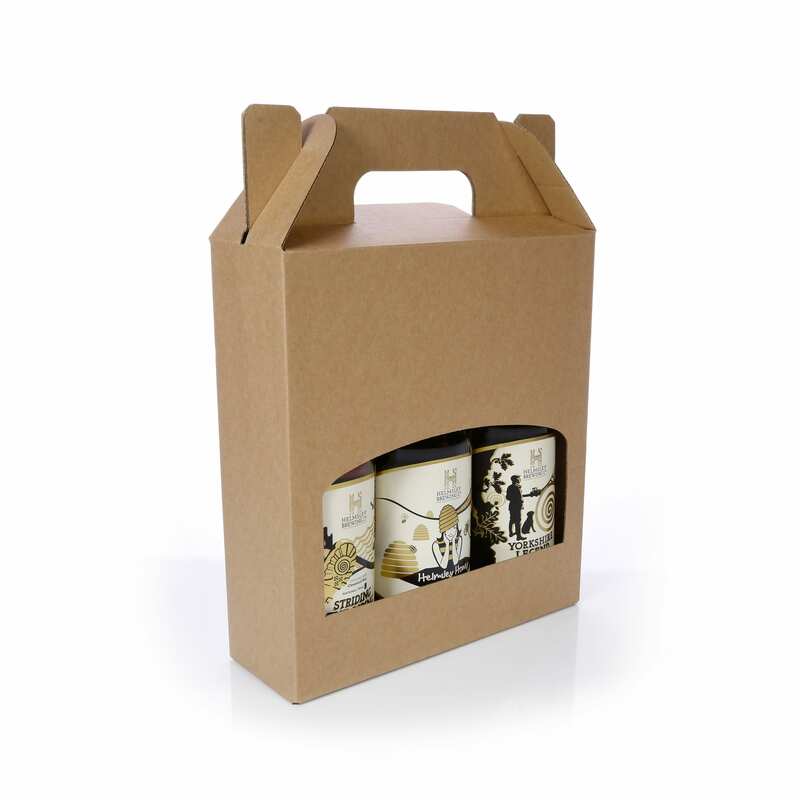 (Minimum order quantity 500/1000).